MESQUITE, Nev. —The 2018 CasaBlanca “Rib Fest” kicks off Friday with exciting entertainment, family-friendly games and, of course, mouthwatering ribs. 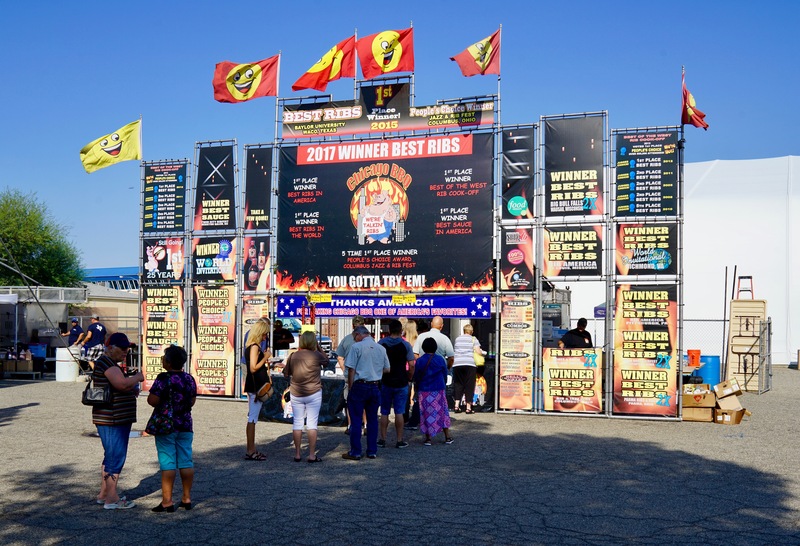 Sponsored by Mesquite Gaming, owner of CasaBlanca Resort and Virgin River Hotel, Rib Fest will run through Sunday and feature award-winning vendors including Austin Texas Lightning BBQ, Chicago BBQ Company and Texas Outlaw BBQ. Find the full schedule of events below. Beginning at 1 p.m., attendees can enjoy barbecue and carnival-style food vendors, beer garden, tailgate activities and games and live music with DJ Sally. The day’s schedule also includes children’s watermelon eating contests and prize giveaways. 5 p.m. – Watermelon eating contest: ages 8-9. 5:30 p.m. – Watermelon eating contest: ages 10-11. 6 p.m. – Watermelon eating contest: Mesquite Police Department vs. Mesquite Fire Department. Mesquite Gaming will donate to the winner’s charity of choice. 7 p.m. – Watermelon eating contest: ages 12-13. Gregg Peterson – With his four-piece band, Gregg Peterson creates his own powerful and distinctive sound. As Mesquite’s and Las Vegas’ favorite variety and dance band, Peterson plays classics, from the ‘70s, ‘80s and ‘90s to the contemporary hits of today, all in one sharply-dressed package. Free admission, must be over 21. Comedy Machine – Join three top comedians – Ed Regine, Marc Yafee and Steven Roberts – as they come together for a fun night of laughter. Tickets are on sale now and can be purchased through Star Tickets or through CasaBlanca Resort. Tickets available at the CasaBlanca entertainment webpage, by phone at 800-585-3737 or in person at the CasaBlanca front desk. Must be over 21. CasaBlanca Events Center 11 a.m. to 7 p.m.
Beginning at 11 a.m., attendees can enjoy barbecue and carnival-style food vendors, beer garden, tailgate activities and games, and live music with DJ Sally. The day’s schedule also includes children’s pie eating contests and prize giveaways. 3:30 p.m. – Pie eating contest: ages 8-9. 4 p.m. – Pie eating contest: ages 10-11. 5 p.m. – Pie eating contest: ages 12-13. The Bluzmen: tribute to the Blues Brothers This two-man act brings “The Blues Brothers” to life on stage. With the opening number, “I Can’t Turn You Loose,” to the climatic finale of “Shout,” this Blues Brothers tribute captivates the audience with a high-energy performance all night long. Tickets available at the CasaBlanca entertainment webpage, by phone at 800-585-3737 or in person at the CasaBlanca front desk. Must be over 21. CasaBlanca Events Center 11 a.m. to 5 p.m.
Beginning at 11 a.m., attendees can enjoy barbecue and carnival-style food vendors, beer garden, tailgate activities and games, and live music with DJ Sally. The day’s schedule also includes children’s watermelon eating contests and prize giveaways. 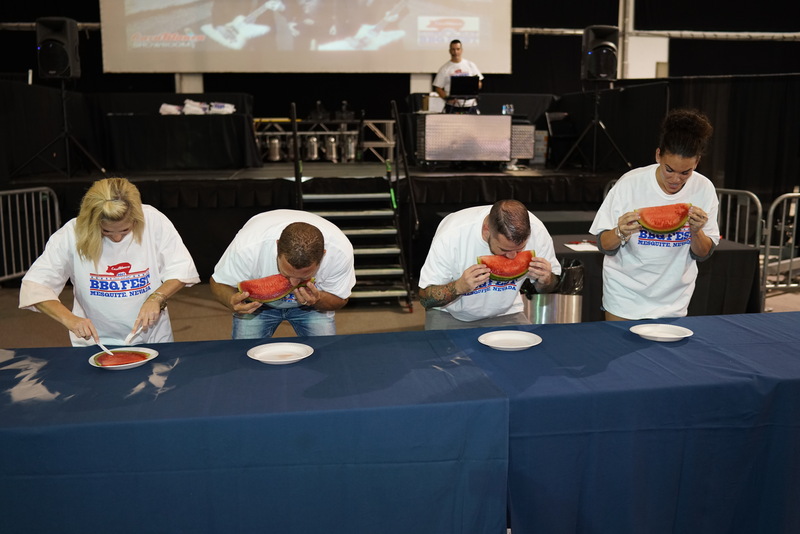 Noon – Watermelon eating contest: ages 8-9. 1 p.m. – Watermelon eating contest: ages 10-11. 2 p.m. – Watermelon eating contest: ages 12-13. CasaBlanca Rib Fest is free and open to the public. For more information, visit CasaBlanca Rib Fest event webpage. Follow Mesquite Gaming on Facebook, Twitter, YouTube and Instagram. For the latest news announcements, executive bios and assets, visit the Mesquite Gaming newsroom.